Pastel drawing of a Dachshund who I photographed at Westminster Dog Show. This Doxie was having so much fun in the ring jumping up on his handler that I could not resist taking a photograph. 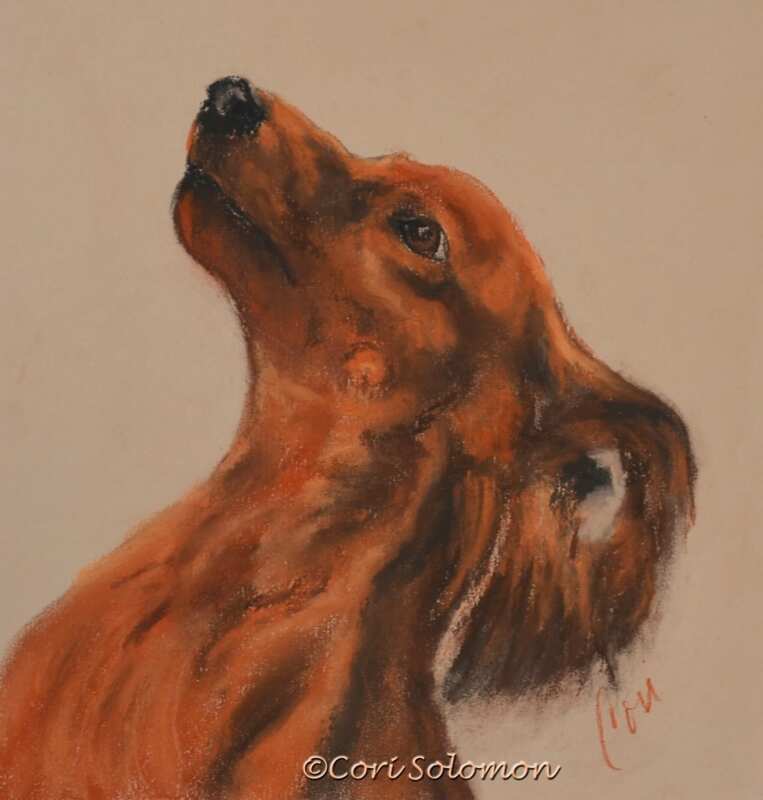 To purchase this Dachshund drawing email Cori.